How can this software help me? Can you explain your pricing plans? Why fixed pricing should matter to you? How easy is this software to use? How secure is the site in protecting my business information? What is different about your software compared to your competitors? If I don't like the software can I get a refund? I want a solution beyond your Enterprise package. Can you accommodate this request? If I need a feature added can you help me? Q. What is Business Management Software? Business management software assists you with storing business information and provides insights when applicable. Typically, business owners use spreadsheets and other tools to store information. Within time, accessing these files and resources becomes a daunting task. As the size of your company grows, spreadsheets become a liability and hindrance. Our software provides an intuitive user interface to store all of your information in a single location. Q. How can this software help me? Your information is available to you over the Internet within a secure and protected environment. You can access your business information using any device; cell phone, tablet, or desktop computer. With this business tool you won't have to worry about staying organized ever again. We'll keep all of your data safe and organized for you. Q. Can you explain your pricing plans? Individual Plan: The individual plan is intended for the solo business owner. If you are a consultant, tutor, teacher, therapist, or health care worker that works for yourself, this plan is intended for you. 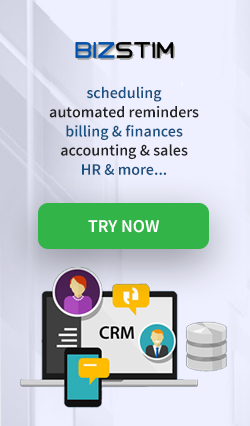 Manage your schedule, finances; billing and expenses and clients quickly and easily. This plan does not offer online payment processing, multiple practitioners, or staff. Small Business Plan: The small business plan is great for small businesses. It provides all of the business management features you come to expect from a premium software service. The small business plan does not provide access to the HR Advanced features, API, WordPress Plugin, or Text Messaging. If you have practitioners and/or staff that are paid by salary (not paid according to appointments / session) you will want to look at the Enterprise Plan. In addition, if you need to manage deductions, such as: income tax, union dues, health care plans, etc you will want to have access to the HR advanced features offered by the Enterprise Plan. Enterprise Plan: The enterprise plan provides access to all features of this business management software. You can choose to pay your practitioners according to sessions they complete or a salary rate you set. There are two types of salary pay: hourly and annual. Your staff members are paid using one of these two salary types. You use timesheets to track salary practitioners and staff. Furthermore, the HR advanced features allows you to set up deductions; income tax, union dues, health care plans, etc. This plan is great for large businesses. Additional features only provided by the Enterprise Plan include: access to the API service, WordPress Enhanced Plugin, and Text messaging reminders. We continue to add features on a regular basis. Parents Plan: The parents plan is FREE for parents with special needs children. If you are a parent with a child with special needs, and you have a need to track therapy appointments, therapist wages, and track expenditures for your child's special needs, the parents plan is for you. Q. Why fixed pricing should matter to you? Virtually all business management software platforms employ variable pricing. Bizstim is one of the only companies to extend fixed pricing for its plans. Most businesses start small. In the beginning a small business typically pays the minimum amount in a variable pricing plan. Unfortunately, as the business grows, the cost of using the software increases. Variable plans employ an exponential increase in price with respect to business size. This means, as your business grows, the cost of using the software becomes "relatively" greater. You are in effect charged more for the same product. 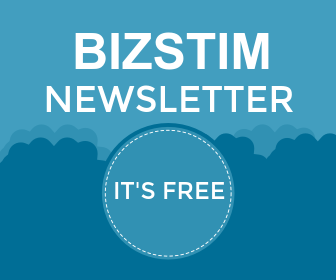 Bizstim business management software provides fixed pricing. Therefore, regardless of your size, you know exactly what you will be paying every month. Fixed pricing is more cost effective, better for budgeting, and signals our companies desire to see you; our client, become more profitable and successful. Absolutely not! You don't have to install our software because it's a cloud-based application. If you know how to navigate on the Internet, enter a username and password, you're good to go! Q. How easy is this software to use? Our app is extremely easy to use. We don't use multi-leveled navigation so there's no need to click needlessly and endlessly. We have shortcut icons on every page in the same location for commonly used tasks. There is a variety of tool tips and pop-ups should you require additional help. Smart Dashboard™ ensures you and your staff are made aware of vital information. When tasks are completed, Smart Dashboard™ no longer displays them, thereby de-cluttering the page. Inversely, Smart Dashboard™ arranges information for your clients taking into consideration what they look for 90% of the time. This improves overall user experience and promotes use of the business tool. You save time and your business runs more efficiently. Q. How secure is the site in protecting my business information? Let us protect your data. That's what we do and we're good at it. Focus on growing your business while we work behind the scenes to keep your precious information safe from harm. Q. What is different about your software compared to your competitors? Bizstim business management software was born because of an unmet need. There are a number of good applications out there if you want to manage your finances OR sales leads OR appointments OR human resources. Unfortunately, if you want help with more than one of these areas you'll most likely need to use multiple solutions. Our management software was built to satisfy a larger number of needs. Additionally, in our early research, we concluded that many applications available for specific tasks overwhelm the user with too much complexity and too much information. In an effort to be a 'master' in the subject area programs become hard to use and are user unfriendly. With that in mind, we embarked on a journey to cover a wider range of features, ensuring our program was intuitive, and providing only what's absolutely necessary without excessive 'fluff.' We believe minimalism is perfection! Q. If I don't like the software can I get a refund? You'll never need to ask for a refund since we offer a 21 day FREE trial. If after 3 weeks you don't want to use our application, no worries. We don't ask for any credit card information and we make no demands during the trial period. Only after you are 100% sure you want to use our product do we ask for payment. Your account will be billed every month based on the service package you selected. When you cancel your account, your subscription is automatically cancelled too. There's no silly or obnoxious rules for cancelling your service. While we're always sorry to see clients go, we are happy to have helped while we could. Q. What's your support like? We handle all of our support requests using e-mail. Depending on the severity of the request, we aim to reply within 1-4 hours. Our support hours are between 9:00 am and 5:00 pm EST Monday to Friday, with some coverage over the weekends. We also provide live chat support during business hours. When one of our support consultants are available, you will see a "Live Support" link at the bottom-right of the monitor. Click on it and ask us a question. Support replies are comprehensive, and we will address all of your concerns and provide solutions when applicable. Furthermore, we welcome the opportunity to hear how our application is being used and if there are ways in which we can improve it. The coding of our software is not contracted to third-parties. Thus, we can implement programming changes in an extremely expeditious manner. Q. I want a solution beyond your Enterprise package. Can you accommodate this request? This is a good example of a dedicated service entry point. These numbers can rise if you require a large number of concurrent users or other specialised requirements. Dedicated servers; their management, and code-base remains strictly in our control. Implementation time is variable, but you can expect a minimum of 7-14 business days for setup and testing. Q. If I need a feature added can you help me? * The time depicted represents the time to implement changes within the application. It doesn't represent the time that may be billable. For example, an easy change may take 7 days to implement but only 3 hours of coding to complete. We test all changes to our code exhaustively before going live. This quality control mechanism isn't billable in most cases. If your feature request is useful for all users, and we implement that feature within the application, there is no cost to you. However, if your feature request is very specific to your business there is a $100 / hour programming cost. Before any programming takes place, we will meet with you to understand your needs and provide a comprehensive quote for programming. For feature requests falling within the 'Hard' category you may need to upgrade to a dedicated service package. Q. What payment methods do you provide? We use Stripe as our payment gateway. We accept VISA and MasterCard. When you select a package you are agreeing to a monthly subscription plan. You can cancel the subscription at any time, with a couple of clicks. We offer two payment gateways for you to collect payments from your clients; they are: Stripe and PayPal. With Stripe your clients never leave the application when they make a payment and they can see and save their receipts right away. With PayPal your clients are sent to a PayPal welcome screen where they are asked if they would like to pay with their account or a credit card. Upon completion of the payment, they are returned to the software. For more information about Stripe, please visit their website.